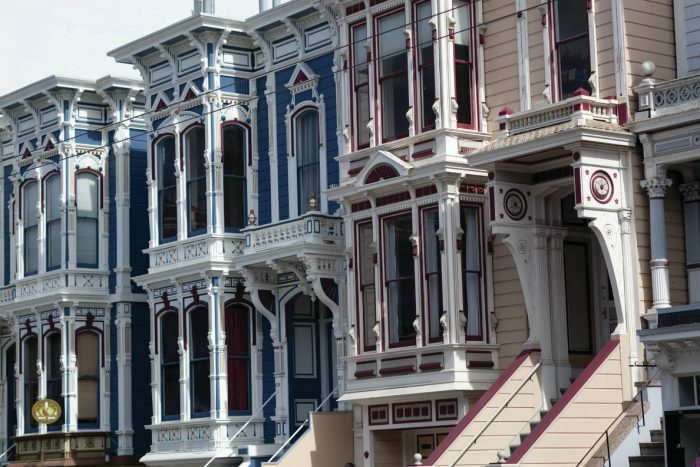 Deciphering Home Prices: Are They Declining in San Francisco? The recent Federal Housing Finance Agency House Price Index showed 2.5 percent first-quarter year-over-year depreciation in the San Francisco metropolitan division, which includes San Francisco and San Mateo counties. Other sources that use similar methodology show no price change for the same period, while still others show an increase. With many home price measures available, it’s important to understand their varying data sources, coverage, and method of analysis. San Francisco County’s stagnation in home price growth started last year, and the city’s lack of affordable properties will keep a lid on future increases. Annual home price growth remains the highest in relatively affordable regions of the Bay Area. Measuring home prices can be a tricky task. Depending on how one defines the market being measured and what sources are used, the results can vary. The most recent Federal Housing Finance Agency (FHFA) House Price Index (HPI) for the first quarter of 2017 showed that home prices in the San Francisco-Redwood City-South San Francisco metro area fell by 2.5 percent from the same period last year. At the same time — and based on slightly different criteria — price measures from the California Association of Realtors and CoreLogic both show a 4 percent annual increase in San Francisco metro area median home prices in the first quarter. The median home price information provided by sources such as CAR, the National Association of Realtors, and CoreLogic is impacted by the change in the mix of homes being sold. That’s why median-price measures can show higher appreciation than repeat-price indexes if more high-priced homes are sold in one period when compared with a prior period. Unlike median price changes, FHFA’s HPI tracks average home prices by analyzing changes in prices for individual properties — also referred to as a “repeat-transactions” index. To measure the change, the method requires data on the sales price of an individual property in two time periods. FHFA uses sales price information from Fannie Mae- and Freddie Mac-purchased and enterprise-guaranteed mortgages. The FHFA HPI goes back 42 years, which makes it one of the few home price measures with such a long history. However, since FHFA’s index uses only Fannie Mae and Freddie Mac mortgages, also called conforming loans, it tracks mortgages capped at $636,150, which translates to about a $780,000 home assuming a 20 percent down payment. In San Francisco and San Mateo counties, where the HPI showed a decline, only 16 percent and 21 percent of respective homes sold for less than $780,000. In addition, 27 percent of San Francisco transactions were all-cash sales. Therefore, the index does not capture a large share of San Francisco and San Mateo county sales. Other indices use similar methods to FHFA’s HPI but capture more transactions. One is CoreLogic’s HPI, which tracks county-level public recording data. While having a larger coverage area, CoreLogic’s index is also limited at times if public recordings do not contain sales price information, which may be the case with high-end properties. Also, since public recordings may take some time to be updated, median-price measures using MLS data tend to be more timely. That said, CoreLogic’s HPI showed a 4 percent annual increase in the San Francisco metro area and was unchanged in San Francisco County alone. 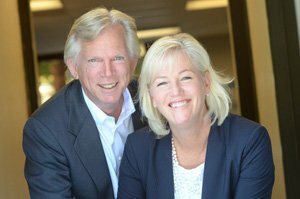 And Black Knight Financial Services, yet another source of home prices that uses public recording data and captures repeat transactions, showed a 6.5 average percent increase in San Francisco during the same period. So which numbers are correct, and how much did Bay Area home prices actually appreciate in the first quarter? The truth is that all of the indices mentioned are correct in their own rights, but each measures a slightly different segment of the market using a slightly different data source. As noted, some sources are more timely, while others have greater coverage. It’s important to note all of them and understand their differences when analyzing housing-market conditions. Figure 1 shows year-over-year, first-quarter 2017 home price changes according to three different sources. FHFA does not report data for some Bay Area counties, and again, HPI and median-price measures differ. The measures show that while all Bay Area regions are still seeing solid annual home price gains, San Francisco County recorded no appreciation or saw a decline in the first quarter when compared with last year. More recent MLS statistics from April demonstrate that San Francisco County median prices are 2.3 percent lower than last April but 6 percent higher year over year in May. Since January of this year — when San Francisco’s median home price fell to a 12-month low of $1,108,000 — the median price has increased by 17 percent to $1,300,000 year to date as of May. Figure 2 shows median prices, including single-family homes and condominiums, in San Francisco County over the last two years. Source: Terradatum, Inc. from data provided by local MLS, June 2, 2017. So what should we expect from San Francisco County home prices going forward? As the most expensive Bay Area county, San Francisco has shown some stagnation in price growth over the last year. 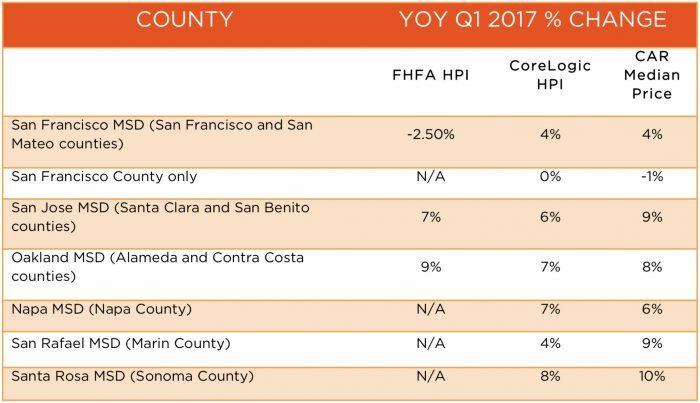 Figure 3 shows quarterly, year-over-year changes in CoreLogic’s HPI for eight Bay Area counties, as well as San Benito County. San Francisco County’s price growth came to a halt last spring. Since then, it has fluctuated a bit but remains mostly unchanged. As FHFA’s HPI highlights, the lack of affordability is keeping a lid on appreciation in San Francisco County. Hesitance will continue impacting lower-priced segments of the market — especially as buyers face their price ceilings and the number of homes for sale continues to dwindle. The supply of homes priced below $1 million is now about 30 percent lower than it was last year. On the other hand, sales of homes priced above $2 million have been gaining momentum in 2017, rising by 10 percent from last year. A boost in inventory is helping activity in this price range, with about 20 percent more homes on the market this spring than last. Even as buyer fatigue takes hold in San Francisco proper, other parts of the Bay Area continue to see steady home price growth, especially in more affordable areas that are accessible to public transit and employment. The Oakland metro area, for example, showed a 9 percent increase on FHFA’s HPI, similar to other price measures. In the East Bay, more than half of homes selling are still priced below $780,000, and three of four are priced under $1 million. Greater affordability will determine where the next hot spots occur in the Bay Area’s housing market.